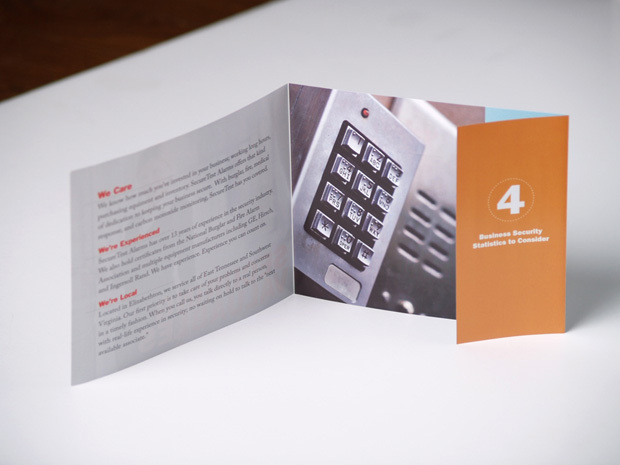 SecureTest Alarms works in both commercial security and residential. 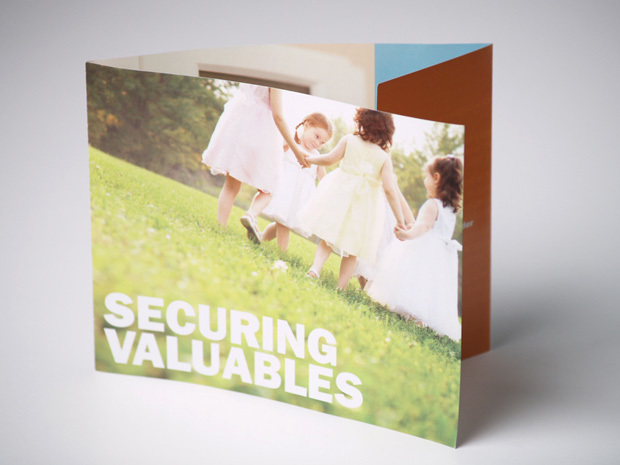 They need brochures that they could get in front of potential customers that were targeted to both groups needs, and most importantly on a low budget. 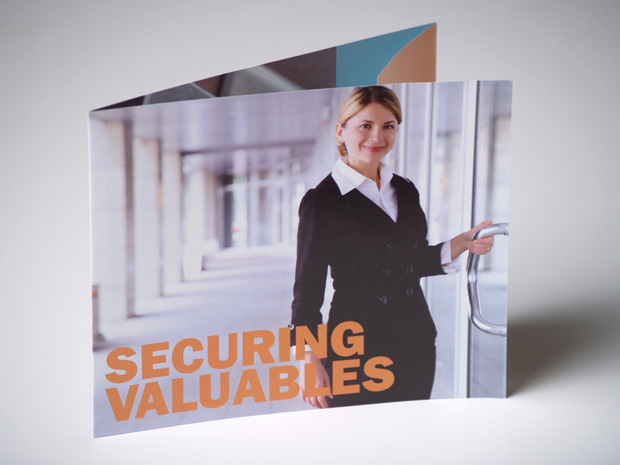 In order to deliver two marketing pieces on the budget of one, I designed two brochures that were smaller than your average brochure, in order to have both brochures printed on one sheet of paper. 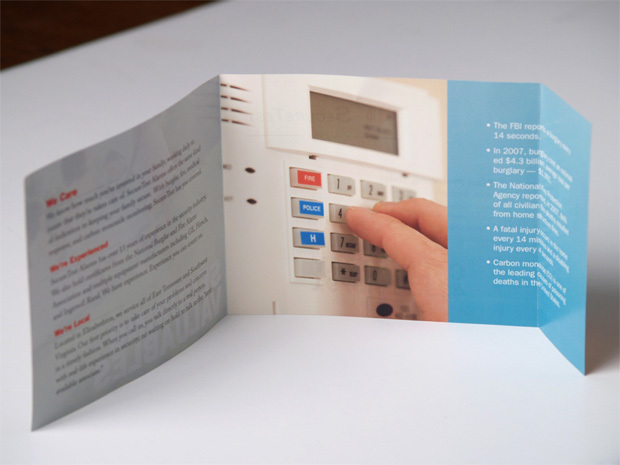 This technique helped to reduce printing costs and create an unique brochure size.